Read more about Car Payments Taking Their Toll? Yesterday was Data Privacy Day, and though it’s just one day a year, we hope you’ll make data security part of your regular routine. This morning, FTC Commissioner Maureen K. Ohlhausen spoke at a Data Privacy Day event at George Washington University in Washington, DC. 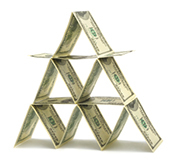 Read more about Pyramids of Fortune? Gear up for a Great National Consumer Protection Week! The 15th annual National Consumer Protection Week (NCPW) is March 3 - 9. Government agencies, advocacy organizations, and private sector groups from coast to coast have come together here to share information that can help you make smart decisions about a slew of subjects, including privacy protection, money and debt management, and recognizing identity theft, frauds and scams. Read more about Gear up for a Great National Consumer Protection Week! Read more about Buying Jewelry for Valentine’s Day? Data privacy is so important, there’s a day dedicated to it. The National Cyber Security Alliance is kicking off Data Privacy Day with an event on January 28, 2013, at the George Washington University Law School in Washington, D.C. Panelists will explore data stewardship and privacy innovation, as well as the implications for personal information in an on-demand mobile environment. FTC Commissioner Maureen Ohlhausen will keynote the event. FTC to Debt Collectors: Play by the Rules! If you’re behind in paying your bills, you may be contacted by a debt collector — someone who regularly collects debts owed to others. This includes collection agencies, lawyers who collect debts on a regular basis, and companies that buy delinquent debts and then try to collect them. Read more about FTC to Debt Collectors: Play by the Rules!